Join the Northern Kane County Wild Ones group for popcorn and view “Dirt! The Movie” on Jan. 22, 2015. This is our first meeting of the new year. Come at 6:30 to meet and mingle, the movie will begin at 7:00. We meet at Christ our Lord Lutheran Church, 12N462 Tina Trail, Elgin, IL. All members and guests are welcome. “Dirt! 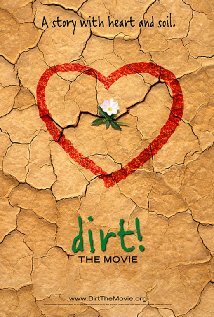 The Movie” is 2009 American documentary inspired by the book “Dirt: The Ecstatic Skin of the Earth” by William Bryant Logan. This movie was an official selection for the 2009 Sundance Film Festival and won several awards. The movie explains how the dirt we use for good or ill is a much more delicate and essential bio-resource than many of us thought.? Locations around the world are visited to explain dirt?s critical function at all levels.